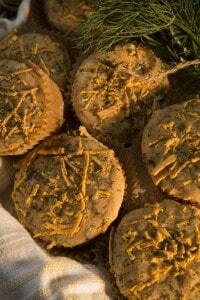 You'll Want to Raid Your Herb Garden to Make These Dillicious Herb-Stuffed Muffins! 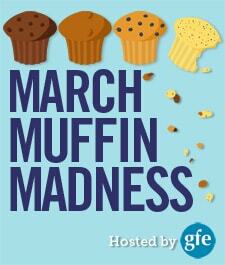 Today we have a delicious savory recipe for March Muffin Madness, Dillicious Herb-Stuffed Muffins! 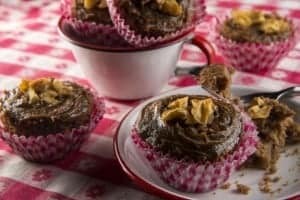 This recipe is graciously being shared by Debbie Adler, the founder/owner of Sweet Debbie’s Organic Cupcakes and author of Sweet Debbie’s Organic Treats: Allergy-Free & Vegan Recipes from the Famous Los Angeles Bakery. 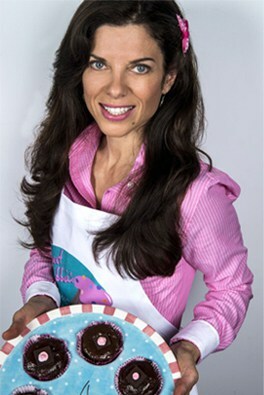 These muffins, like all of Debbie’s recipes, are gluten free, dairy free, egg free, soy free, sugar free, and nut free. Enjoy learning more about Debbie and her Dillicious Herb-Stuffed Muffins (see the whole line-up of bloggers, blogs, and muffin recipes here). As I shared when I featured Debbie and her cookbook in my recent Suite of Sweets for Sweethearts (SSS) event, Debbie opened Sweet Debbie’s Organic Cupcakes with the intent to simply share sugar-free treats. She’d discovered that sugar-free living worked best for her own health and wanted to share her much-loved treats with the public. Not long after Debbie’s sugar-free bakery treats became popular, her son was diagnosed with life-threatening food allergies. She regrouped and began creating cupcakes and other treats that he could eat. To her surprise, her bakery became even more successful and she decided to share her recipes in a cookbook for all those who can’t make it to her Los Angeles bakery to sample her delicious treats firsthand. If you missed my SSS event, you’ll definitely want to check out her recipe for Salted Caramel Apple Muffins that she shared earlier. Keep in an airtight container for up to 3 days, or wrap and freeze for up to 3 months.Makes 12 standard-size muffinsShirley here: One reader asked Debbie about substituting for the dill. Debbie replied: "You can substitute any herb that you enjoy, such as oregano or tarragon. Maybe even dried basil. The options are endless." Looks good. I like how dill is used as sprinkles in this savory muffin! I’ve never tried savory muffins before but I will now. Hi Shirley, yes I am still here and still GF. I will never go back and 2 of my children have joined me, so we are a half and half family. It has its challenges with a mixed kitchen, but we are doing pretty good. Thanks for visiting my blog! Yes, the recipe will work with almond milk. Enjoy! Look forward to trying these! Yum! These look amazing, I can’t wait to try them! Thank you for posting this recipe. Wow! What a wonderful way to get more veggies in. I love cauliflower recipes. I love the savory-ness of this recipe! Can’t wait to try it out! Does it matter what kind of flour I use? Would almond work? They sound good! what a great way to get some veggies in something the kids might eat! Mmmm, these sound amazing. Thank you. A savory muffin is a nice change from sweet. Sounds tasty. These are great! I like savory and they turned out just perfect for me! Trust me, they go great with chili on a cold day, but they are good anytime! Hi Debbie! 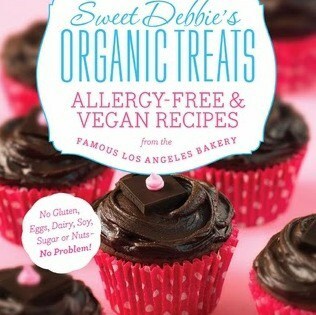 I absolutely ADORE your Organic Treats recipe book! I think it’s very admirable to find you use whole grain gluten free flours full of nutrition, instead if less expensive starches with no nutritional value. You rock! Thanks for sharing you special Savory Dill Herb Muffins. Yum! I have some fresh dill frozen from last year. Will try these! Thank you so much for sharing. I am desperate for great GF recipes. This blog is great. Sounds wonderful. Thank you for sharing. Savory gooodness! I will have to tinker around for my own dietary restrictions and try this soon! These sound like they’d make a great substitute for dinner rolls. They sound like they would greatly accompany a barbecue. And we are planning one tomorrow (The first one this year), I think I give them a try. These sound like they would be great with a roast. I also will need to go back and look at the salted caramel apple muffin. these already caught my eye! savory! Gosh those look good. I’d like to try them with broccoli as well, that way I could take my broccoli cheese soup with me. I’ve never thought of savory muffins…but oh! I missed the Salted Caramel Apple Muffins the 1st time around and I’m so glad you linked to them, Shirley! I really must try these. I love herbed muffins but I am very allergic to dill. Is there something I can substitute? You can substitute any herb that you enjoy, such as oregano or tarragon. Maybe even dried basil. The options are endless. Please let me know how it turns out! These muffins are very interesting. I’ve never seen a recipe like this before. I’ll have to try making these! These savory muffins sound so interesting. Something I would like but not the hubby. Yum! These look fantastic! I love a savoury muffin! I’ve never tried a savory muffin. Guess I will now! These look ridonculous lol. I’m not sure I’d ever have the patience to make something with this many ingredients, but they look super good. I’ve never tried a savory muffin. Can’t wait to try! I forget about how yummy savory muffins are – thanks for reminding me! Ya! for savory muffins! Thanks. So excited to make these! Thanks!!! Savory muffins with cauliflower! Wow!! Definitely going to have to make these. I’m really curious as to how they’ll taste! I haven’t made savory muffins before and I think these should be the first I have! Sounds so good! I’ve had herb scones before but never herb muffins. Thanks for the recipe! Looks great to serve with soup! Cool idea to incorporate veggies in a muffin! I would make these savoury muffins as a biscuit with dinner. What the heck is guar gum though & can I omit that?